Before getting too far over our jetlag we decided to get in the visit to Tsujuki Fish Market. 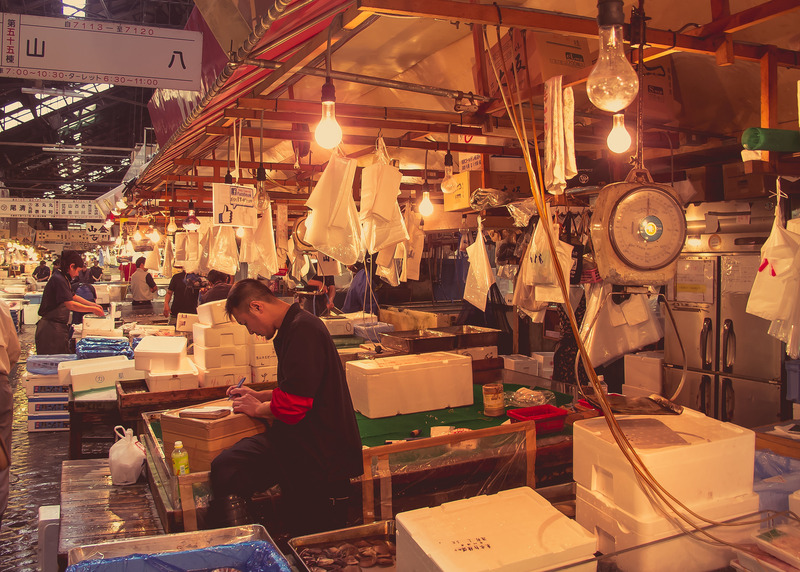 Tsukiji Market is best known as one of the world's largest fish markets, handling over 2,000 tons of marine products per day and you can definitely tell. It is huge and insanely busy, you have to make sure you have your wits about you otherwise you'll get taken out by one of the many scooters and trucks which are ziping about. 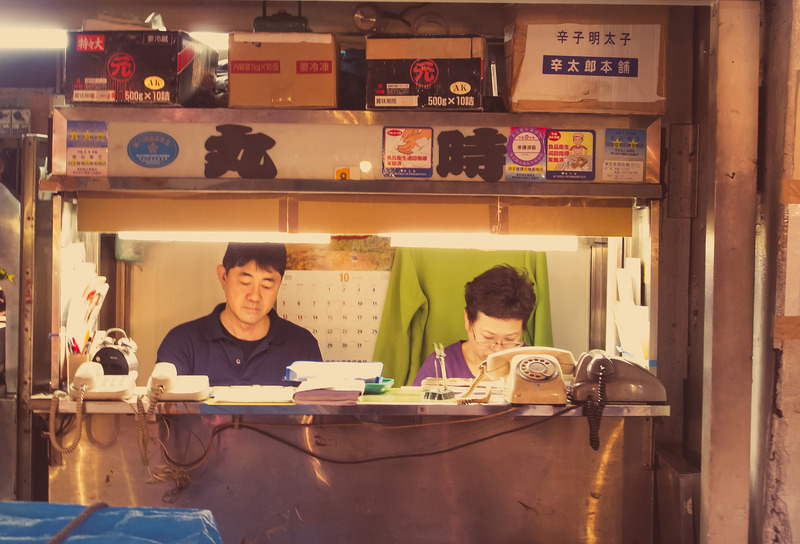 There are lots of little sushi stalls and restaurants selling the freshest sushi you will ever eat, with the fish fresh from the boat a matter of minutes before. The most popular restaurants get quite large queues forming from very early on. As it is still very much a working market, there are people doing deals, weighing their produce and doing the books where ever you turn and with seemingly every type of sea creature imaginable for sale. Honestly, these guys don't mess about, and their carts properly shift. Incredible pose from this gent. Next up was Ginza, the main shopping district. If you want designer names and big name stores this place is for you. 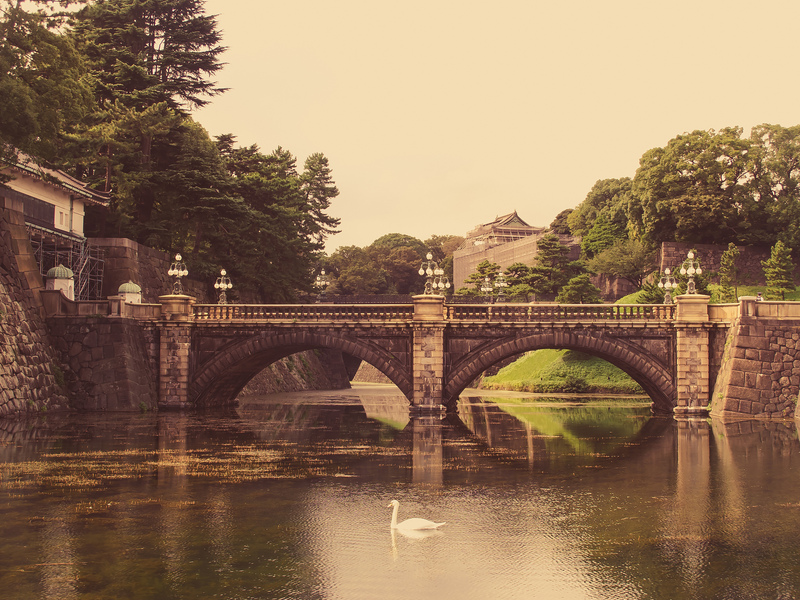 We fancied something a bit more peacful before we lunch, so headed to the nearby Imperial Palace and surrounding gardens. Unfortunately the Palace is undergoing renovations and was covered in scaffolding, which pretty much ruins the trademark view. That didn't seem to put of this school trip though. I think the Japanese love queuing as much as the British. 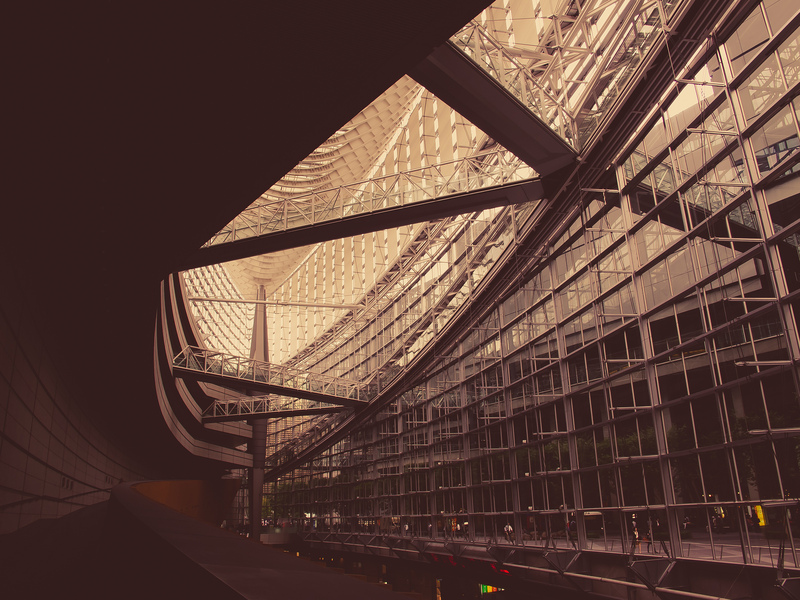 After lunch near to Tokyo Station, I wanted to visit the Tokyo International Forum and I wasn't disappointed. Although not a typical "tourist attraction" I love modern architecture and this building is particuarly impressive, especially from the inside as you loop round the walkways and cross the bridges causing the interiors various angles and perspectives constantly move and shift. Spotted this beautiful classic Ferrari just off Shibuya station, near our apartment. 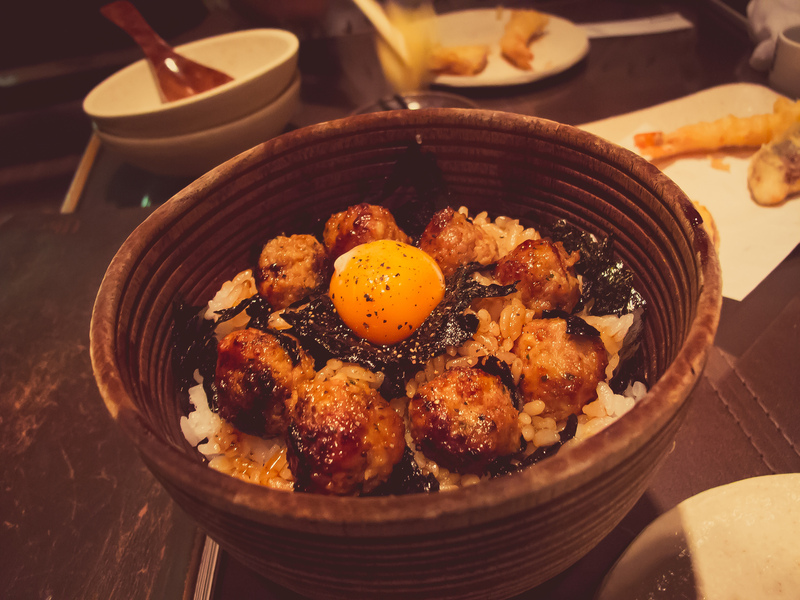 That night we headed to Ebisu for some dinner and drinks. We spent most of the night the place above, Ub and ate lots of delicious sushi, tempora and other small Japanese dishes.